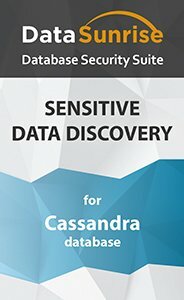 Cassandra Sensitive Data Discovery tool included in DataSunrise Database Security Suite is a special feature aimed at finding and locating all sensitive and personal information in Cassandra databases. In the result companies have an understanding what data and where needs protection. Cassandra Sensitive Data Discovery is required for compliance with national and international sensitive data protection regulations. Before protecting something it’s important to identify and locate what data needs protection. That is why Sensitive Data Discovery is crucial if we think about effective data security and database protection. Also, it’s a vital component of compliance with national and international sensitive data security regulations, that is why any modern company will find this tool highly useful. Cassandra Sensitive Data Discovery from DataSunrise is a tool that helps to locate sensitive information in databases even if the company is not aware it has this information. The tool can initiate searches through Cassandra tables, schemas, etc. that may contain sensitive data. The searches may be customized by the customer. Also, Data Discovery tool can be set to perform automatic Periodic Data Discovery. As the name of this feature suggests it’s initiated automatically at the set intervals of time. This feature makes sure that not a bit of sensitive information is left unattended and unprotected. In the result all kinds of personal information are discovered, located and protected if the customer decides so and creates security rules. All the rules created are highly customizable, which ensures the highest possible level of data and database protection. Database admins, owners and security teams using Cassandra Sensitive Data Discovery can easily locate the data requiring protection and ensures the unprecedented level of security that guarantees confidentiality, integrity and visibility of into the stored data.